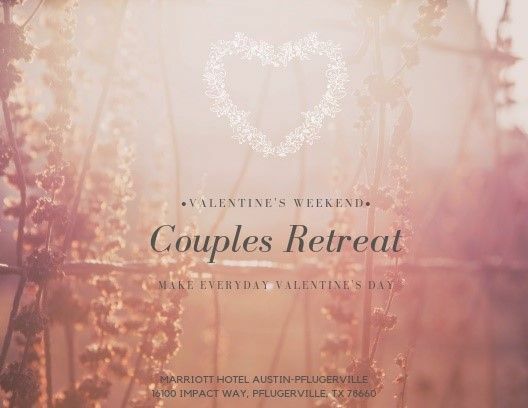 Please note Valentine's Weekend Couples Retreat occurred in past. LEARN HOW TO MAKE EVERYDAY VALENTINE'S DAY FROM THE EXPERTS! 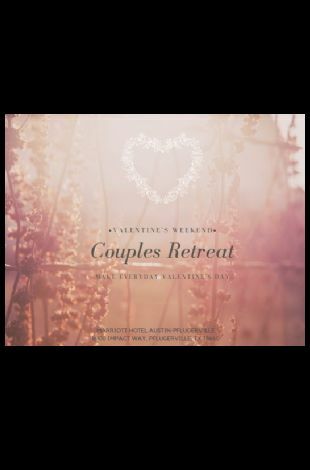 You will take home relationship essentials through group sharing and specialized topic discussions. *Registration fees cover all activities and materials.